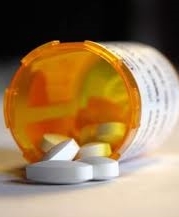 (CNS): The US Food and Drug Administration (FDA) has issued an advisory regarding the suggested safe limits of an analgesic pain reliever used in medicines as a result of the risk of liver damage. The FDA said that the dosage of acetaminophen in prescription combination drugs should now not exceed 325 mg per tablet, capsule or other dosage unit, and pharmaceutical companies have had two years to get their drugs in order with the directive. Although the US agency has not ruled on over-the-counter medications yet, the public is advised to read the labels to check if medications contain acetaminophen. Where this is the case, dosage should be kept within the recommended guidelines of 325 mg per tablet, capsule or other dosage unit. The maximum dose for adults is 4,000 mg per day. The active ingredient in Tylenol, acetaminophen is also found in many other over-the-counter drugs, including some Excedrin, Robitussin and Sudafed products. Although experts claim there are no ill effects from the drug in small doses, larger doses can cause liver damage but do not necessarily increase the effectiveness of the painkiller. Acetaminophen is also used in combination with opioids in prescription pain medications such as Percocet, Vicodin and Tylenol with codeine. Local public health officials said that health care workers here in Cayman are being advised of the dosage limits. For more details see the FDA advisory attached. Habitual Tylenol/Benadryl/Rolaids + Alcohol = Certain Liver Destruction. Acetaminophen/Paracetamol and Alcohol, or even a sustained habitual consumption of Alcohol (2-3 drinks per day over a few days) results in a synergistic enzyme reaction in the body and the toxic byproduct will cause permanent liver cell death. There are very understated precautionary statements on these products to that effect. At some point, the liver may fail resulting in accute illness and hospitalization, even death. Very sadly, this exact circumstance happened to a good friend of Cayman and we lost her from complications a few years ago while she was still far too young. Today would have been her birthday. I would not touch acetaminophen. I stick to paracetamol. And beer. Acetaminophen and paracetamol are the same thing. What is it like living life without any concept of humor? For those that speak English, this article is about paracetamol. Might have helped to say that. pretty sure its about acetaminophen actually mate. Come back once you have mastered capital letters. Geez, how many perople take 2 tylenols and then have some wine? Plenty. No kidding standard Midol has 500mg per tablet so that is 350mg more than recommended PER DOSE, wow. Luckily, we have excellent medical docotrs here on island and many labs that can test for liver damage. January should be a good time to make sure you have your flu shot and go to get your blood work done by a reputable local doctor. You find me a reputable local doctor who won't rip me off and I'll take that advice – maybe! Medical treatment in the Cayman Islands is a disgrace. …but marijuana still remains illegal? ?…something is wrong here. Yes. Your hooked on pot. Give it up. Oh how nice lets release a drug that we don't really know about. Look into medical marijuanna. You obviously have not tried heroin or morphine. . . .
Heroin is great. But it is a little more-ish. nonsense……. paracetamol is one of the safest , cheapestand most effective painkillers of all time…..
this is possibly due to pressure from greedy pharmacutical companies wh want to limit the use of a safe, cheap generic drug…..
Um, no. It is exactly the opposite of what you said. Drug companies have been saying it was ok for years and that was the public lie, for over a decade paracetamol or we know Tylenol has been officially warning so it is not a safe over-the-counter drugs like you think. The reason for all the product is that people like you don't think it is safe to take over 500 mg x 2!!! Because you know better than independent scientists who have now done long term, rigorous, peer-reviewed studies of the effects? Seriously, some CNS commenters never seem to surprise me.